Contents and links: | Hair mineral analysis | Full health profile | Antioxidant stress levels | Vitamin profile | Diet and cancer | Issues with supplements | Lifestyle and cancer | Lifestyle and cancer guidebook - what to do what not to do. 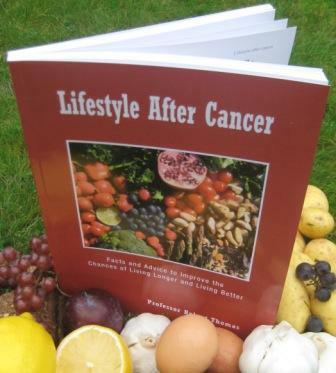 Further information The book Lifestyle After Cancer summarises the lifestyle evidence from around the world and provides practical advice for all stages in the cancer journey. A detailed film available in English, Italian, Urdu, Bengali, Gujarati & Hindi explains Radiotherapy & Chemotherapy. Cancernet.co.uk is a comprehensive cancer information resource written by an experienced team of doctors, health professionals and patients. It contains links and information on: Specific cancers: Breast | Prostate | Bowel. Cancer treatments: Chemotherapy | Radiotherapy | Hormones | Biological agents | Complementary therapies . Lifestyle and cancer: Exercise | Diet | Smoking | Sunbathing | Alcohol. Tips to help with symptoms and side effects. Financial issues: Traveling | Travel insurance| Links to support groups | Books | Tests for cancer | Clinical trials | What is cancer | How to avoid cancer | Glossary | About us | Disclaimer.